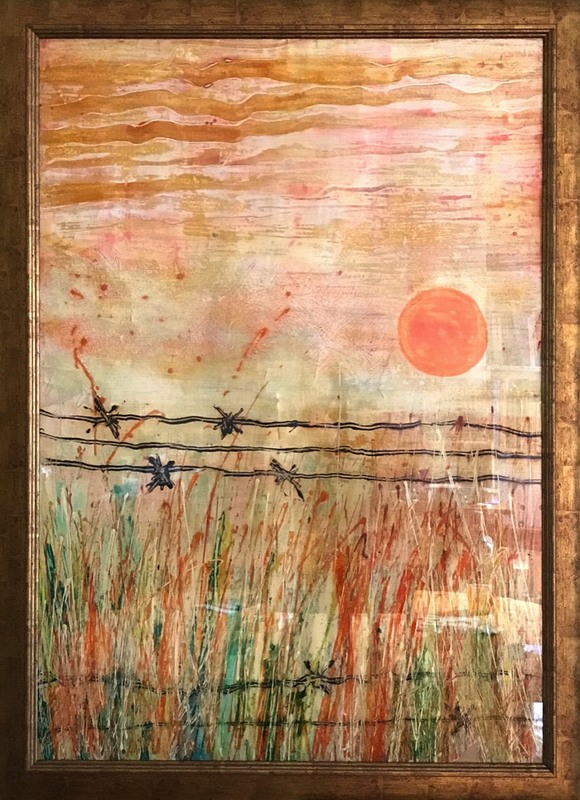 A painting that I created in the early 80's as a gift for my sister Bridie, who was very involved at the time in the Peace Camp at Molesworth, and the Bread not Bombs campaign there, where peace makers cultivated an area of the proposed cruse missile base, to grow wheat to be sent to Eritrea. Attic Collection - in moving house all the artwork that I have had stored in the attic at Tweentown House has been sorted through - these are a collection of drawings - mostly life drawings, many of them dating back 30 years and more. Creating art is by it's nature a selfish and time consuming activity. As a teacher of art much of my time is spent facilitating others creativity, with little time to create work of my own. In some ways my art teaching is my art, my creativity. 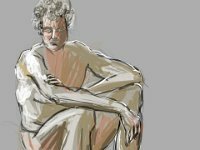 Now and again however I get a chance to produce, particulalry in the life drawing classes that we run each week, and the Monkton weekend that we run annually. I would really like to teach a little less, and create a little more - half a week and half a week would be great, but too brave a step to take at the moment. Much of the creative work that I do these days is digital - the photography and montage that is well represented elsewhere on this site. Much of my life drawing these days is also digital, created on iPad, and thus in the professional rather than personal part of this website. 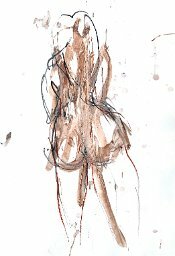 I love life drawing - I am passionate about life drawing. I love a lose style of drawing, almost scribble. 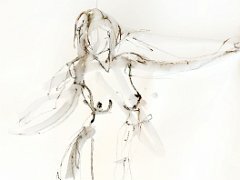 At Monkton the workshops are based on the teachings of Cecil Collins, working all the time with both hands, using earthy materials - quills and reed pens, Chinese brushes and ink, chalks, charcoal and fingers. I have taken this style over to the iPad as well, which is now my media of choice in the life drawing sessions that I attend at school. These are a few recent sketches drawn with a pressure sensitive stylus. 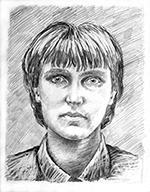 There is someting about drawing from life which really attracts me. 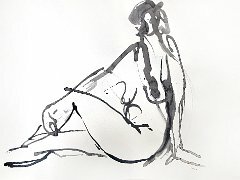 I am sure that there is an additional energy, that might in it's root be sexual, but that turns itself to the sinuous lines of a figue drawing, and there is also an essence in the subject. 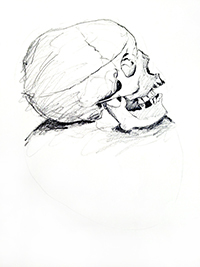 A while ago I drew this skull in a workshop run by the amazing Sarah Simblet. We were drawing from skulls, some of which were plastic reproductions, and others real bone. I felt much more energy and commitment in drawing from real bone.